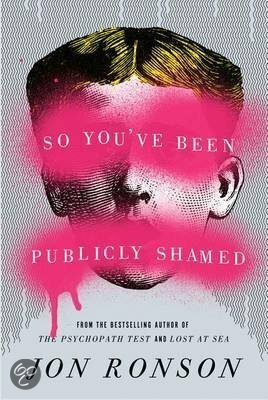 Jon Ronson’s newest book, So You’ve Been Publicly Shamed, delivers a fascinating and funny examination of today’s heady mix of Schadenfreude and digital media. Social media has not only given individuals a public platform for making mistakes, it has given “the herd” a place for punishing strangers, celebrities, and really anyone at all. Ronson is a Welsh journalist, documentary filmmaker, radio presenter, and author. His books include the New York Times bestsellers The Psychopath Test and Lost at Sea and international bestsellers Them: Adventures with Extremists and The Men Who Stare at Goats. The latter was adapted as a major motion picture, released in 2009 and starring George Clooney. Ronson co-wrote the screenplay for Frank, which debuted at Sundance 2014, and which stars Michael Fassbender and Maggie Gyllenhaal. Read an except of So You’ve Been Publicly Shamed in the New York Times here.